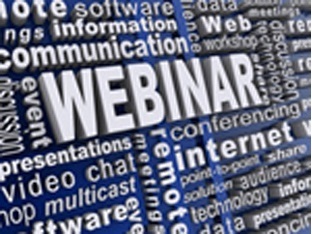 Also register for the PMI-PBA Certification Boot Camp today! The Project Management Institute (PMI) launched the pilot of the PMI Professional in Business Analysis (PMI-PBA) certification last week. The pilot continues through August 4, 2014. The PMI has provided a couple of incentives for participating in the pilot. The challenge in achieving the PMI-PBA certification in this timeframe is a lack of focused study material and preparation programs. PMI provides a list of references for study, but some will crave the definitive security of a ‘body of knowledge,’ practice guide, or standards documentation. Watermark Learning principals, Rich and Elizabeth Larson, are part of the team writing the practice guide for PMI. This is good news for Watermark Learning students in that it provides a level of assurance that topics from our courses will apply in the examination for the PMI-PBA. 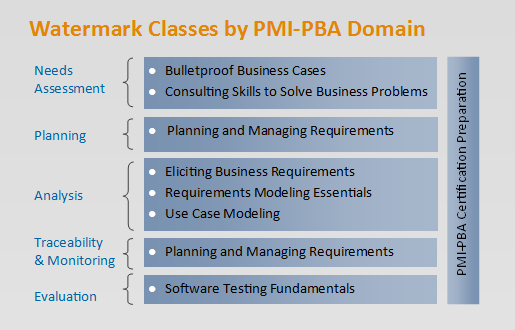 We have compiled a list of courses by PMI-PBA domain to help you determine the best courses to support your study. 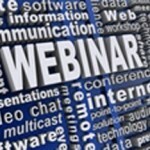 View our on-demand webinar on PMI-PBA Certification Overview: What Does it Mean? 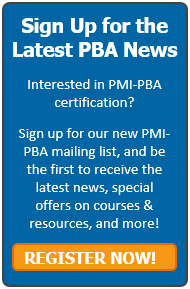 We answer your questions about the PMI-PBA certification and provide additional insights on what this will mean for business analysis and projects into the future.